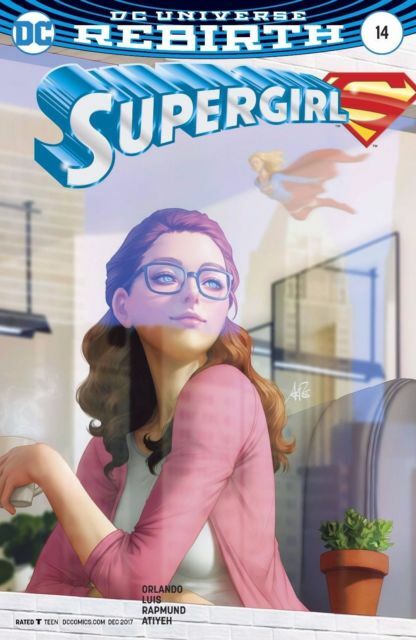 In Shanghai, I-Ching, mentor of China's New Super-Man, is teaching Supergirl to control her out of control powers from within using her Qi, the flow of life energy within the body. In Mongolia, a Russian has crashed landed into a crowd. The language barrier makes it hard to communicate that his Rocket Red armor is about to explode. 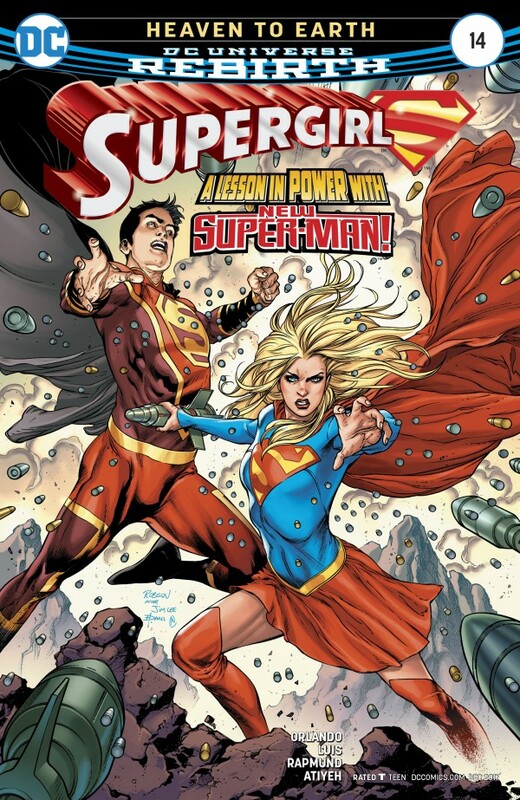 New Super-Man and Supergirl must go to Mongolia to aid everyone even if it means disrupting Kara Zor-El's training and possibly putting innocent people at risk by her using her super charged abilities. Tensions run high when Supergirl and New Super-Man arrive in Mongolia. However the pair of heroes prevent the situation from escalating. Kara Zor-El freezes Rocket Red's armor, shattering it. She looks within herself to control her power and acts as an envoy between the villagers and Rocket Red. The Mongolian government attacked him, causing him to crash land. Yet that does not mean the people cannot work together to rebuild what was destroyed. Now, two cultures have built a bridge between their people thanks to Supergirl. National City is still reeling from the events of the previous serial. Cat Grant is trying to expose Supergirl in her crusade against the Lost Daughter of Krypton. Kara Danvers and Ben Rubel want to help Supergirl's image. Yet they don't know how. Story - 5: This issue is what the Superman family is about in my opinion. What they are goes beyond their Kryptonian abilities. They're about doing the right thing and helping people get to know their fellow humans. Some of the best comics and science fiction have told similar stories. Star Trek, Doctor Who and the 1940s Superman radio show especially did this on numerous occasions. This book gives readers all the best of those examples and a good starting point for new readers to jump on. Tales like this one are why I got into comic books in the first place. Art - 4: While the art isn't as impressive as it was in the past couple of issue or so, it doesn't merit a rating lower than this. Sure, nothing stands out, and images merely tell the story. However, every page is drawn well. Cover Art - 4: Like the interior art, this cover doesn't stand out much, but it's well done.